Goldenrod Charter School | Thompson & Associates Inc. 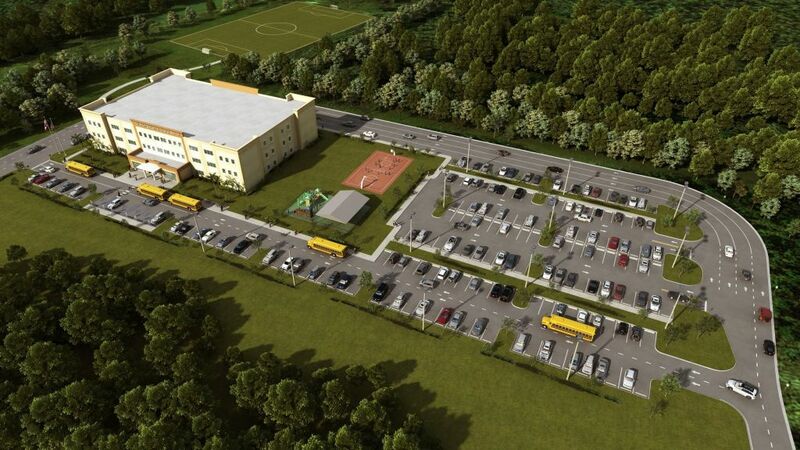 The private charter school is approved for 1,415 students and is situated on 4.2 acres near Orlando International Airport. The amenities for this K-8 charter school include an all-purpose field, soccer field, cover playground, secured bicycle storage, and covered drop-off and pick-up area. As part of a greater master planned property, the design had to be completed with future phases of the development in mind. T&A was the engineer-of-record for the project and completed a due diligence report, preliminary design, final design, permitting, bidding assistance, and construction inspection services. Infrastructures included potable water main extension, fire main extension, reclaimed water main extension, gravity sanitary sewer system, parking lot and access roads, site grading, storm water system, pavement marking and signage.